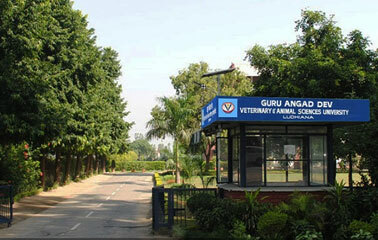 In the ongoing 26th Pashu Paln Mela, Guru Angad Dev Veterinary and Animal Sciences University, Ludhiana started a yearlong 'Buffalo Promotion Mission-2019'. Dr. A S Nanda, Vice-Chancellor of Varsity initiated this mission in the presence of the farmers. While briefing about this project he informed that the Punjab state is producing 11.85 million tonne (6.72 per cent) milk of India (176.3 million tonne) with only 2.53 per cent dairy animals and stands first in terms of per capita milk availability (1120 gm/day vs 375gm/day) in the country. Punjab has 51.60 lakh buffaloes and 24.28 lakh cattle (20.65 lakh cross bred and 3.63 lakh indigenous). Buffalo contributes a major portion to the total milk production in the state. Contribution of buffalo milk to the total milk production of the state is about 72 % as compared to 49 % at the national level (2017-18). Besides milk contribution, buffalo is most suitable for meat production and hence generating additional income and employment in the state. Buffalo meat contributes 50 % and 19.61 % to total meat production in Punjab and India respectively. 1323.57 thousand tonnes (91.22%) of buffalo meat worth Rs 26,162 crore was exported during 2016-17 from India. Punjab produces 8.58% of India’s buffalo meat with only 4.75 % buffalo population. Buffalo being the native animal, is well adapted to the local climatic conditions and resistant to various diseases and parasites. GADVASU has decided to dedicate full one year to the promotion of buffaloes. One of the regional research centre of GADVASU is already focusing on buffalo production system and this year more activities will be planned for the promotion of buffaloes. Dr. Nanda informed that we have some targets in this year. Value addition of milk helps in generating additional income up to 20-25 %. Under this category, mozerella cheese has highest potential and buffalo milk is best suited for mozerella cheese and GASVASU will train buffalo farmers to prepare mozerella cheese at farm level. GADVASU will make aware buffalo farmers regarding its profitability so that more and more farmers can earn higher profits. It is found that with an initial capital investment of Rs 10 lakh, assuming that the farmer is having basic covered area required, 10 buffaloes and 9 cross bred cows can be reared. The net profit of Rs 1,03,500 and Rs 83,500 can be earned from such a buffalo and cow farm, respectively. The higher returns from buffalo farms are mainly on account of more number of lactations for buffaloes compared to cows resulting in lower level of depreciation on animals and sale of buffalo male calves for meat. GADVASU will also provide training for broiler buffalo farming. Rearing male buffalo calves exclusively for meat can be a remunerative enterprise generating additional income and employment among rural masses. With breedable population of 27.87 lakh and 8.4 lakh male calves everywhere, Punjab can produce additional 2.31 lakh tonne meat per year worth Rs 2300 crore. GADVASU has already signed MoU with Rural India Solution to help the farmers in disposal of male calves. He added that Buffalo farmers will be given training on farm management and reproductive issues. In addition to the training of production and management, scientists of GADVASU will also focus on special training on heifer nursery to the farmers on Punjab. Training will also be provided for hygiene meat production and zero waste technology for achieving the export competitiveness.